Quality Auto Service Since 1980! Jeff’s Auto Repair is the Seattle area’s premier full-service facility. We treat our customers like family, and customer service like an art. Having our dedicated mechanics to handle your vehicle’s services will make sure you’re always on the road and on time. Come to us for total car care that can fix any performance issue you bring us. Our ASE Certified technicians are eager to service and eager to solve your automotive problems. A fully-functioning vehicle is your ticket to freedom on the highways, and Jeff’s Auto Repair is here to keep you on the road. We’re not just auto service experts, but you can consider us your vehicle’s best friend. We know how to treat you and your vehicle the way you both deserve to be treated. Understanding the manufacturer’s intentions for your vehicle’s service and performance allows us to perform the most appropriate services. With locations in Renton, Seattle Windermere, Seattle Sandpoint, Bellevue, and Lynnwood, we are always just right around the corner! Returning your vehicle in tip-top shape, and keeping it there, is our number one priority. Our team understands that engineers are designing much more sophisticated vehicles these days. Technicians need to stay on top of all industry advancements, and our team stays on the cutting edge of all technology. Vehicles with complex electrical systems need qualified technicians who understand how to service them. Engines that are built for increased power and performance also need Jeff’s Auto Repair to perform quality maintenance. Our team uses the latest technologies and the most advanced diagnostic equipment to give you an accurate analysis of your engine’s condition. Responsible drivers know that an ounce of prevention is worth a pound of cure when it comes to auto services. Avoid costly breakdowns and repairs when you come to our full-service auto repair facility. Quality auto service is the key to your vehicle’s longevity and peak performance. You need a team of technicians you can trust, who are dedicated to maintaining your vehicle’s enhanced performance. We understand that life on the road can be rough on your vehicle’s engine and components. Even if your vehicle has a simple commute and consistent driving routine, your personal habits, rough terrains, and the age of your vehicle will require special attention. From bumper-to-bumper we got you covered! As soon as you notice any malfunction with your brakes, engine, transmission, A/C, steering and suspension, fleet repairs, and much more, come see us first! Save yourself some time and money by trusting our shop’s total car care services. Schedule an Auto Repair Appointment Today! We’re always here for you! Let our team have a look under the hood if you notice anything abnormal with your vehicle’s performance. 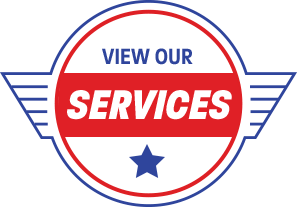 Our advanced skills, extensive experience, and superior equipment make us the best option for your vehicle’s service. Give us a call today to schedule your next appointment. We’ll put you on the path to optimal performance with clean and complete maintenance and repair services. The staff at the Bellevue was very thorough and honest about the many issues found with our 19 year old car and encouraged me in my thought that it is time to replace it. They told me the car should be considered unsafe to drive, and then had some advice on types of vehicles to check out. It made the idea of replacing our car much easier to accept. i have used Jeff's Auto Repair for the past several years. Their work is great. But, just as important to me, their customer service is excellent. They tell you right up what your car needs and the cost. They do not try to pressure you into making the recommended repair. To me, this is welcome and refreshing. I will continue to bring my cars to Jeff's. I took them a big problem of a persistent check engine light on an older car. After replacement of some very old parts in two sessions, the light came back and their diagnostics hit a dead end. So, they had me bring the car back. They drove it to a foreign car specialist at one of their other locations who found and fixed the problem, and they picked up the charges. Does it get better than this ? I love them!! They not only fixed the problem, Doug actually went and got the part on my car that was replaced and showed me exactly what was wrong with it so I could see it with my own eyes. I know I'm in good hands every time I go in there! They are always courteous and trustworthy. I know I can believe what they tell me about my vehicle and even though I don't come in as often with my newer car than with my 18 year old car, they still give me the same attention and great service.